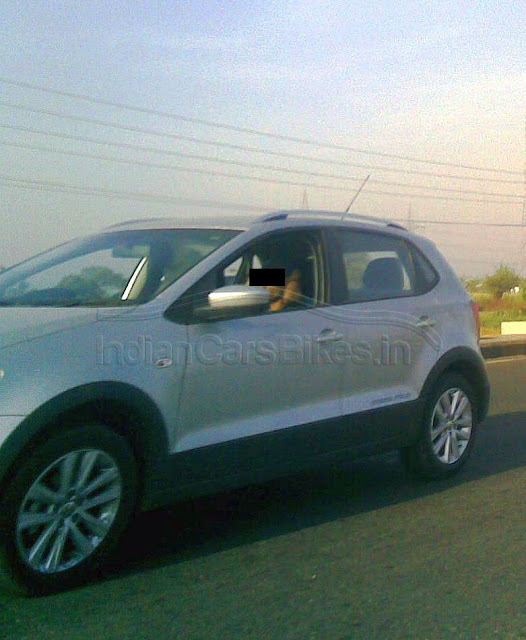 Volkswagen's Polo Crossover has been spotted for the first time in Pune, India. The Volkswagen Polo Crossover is similar to what Skoda Fabia Scout. A lot of macho equipments are added on Polo to make it a Polo Cross. With increased ground clearance, roof rails and claddings on the front give it a butchy look. The engine department is expected to remaint the same with 1.2L 3 cylinder 75 bhp petrol engine and 1.2L 3 cyl. diesel engine. 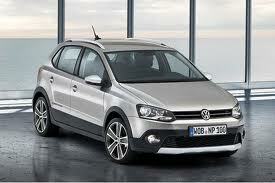 Meanwhile, Volkswagen is working on Polo Crossover, there are many more who are working on the same. Mahindra's are known to be working on whole range of new SUV's, Maruti Suzuki is also working on two new SUV's, Honda, Hyundai are the others who are known to be working on the same. Stay tuned for more information on Polo Crossover.